Many businesses survive by being able to have direct contact with their customers. This has led to the prevalence of call centres, which are capable of providing this contact in a way that is both efficient and productive. And it isn’t only for making outgoing calls that call centres can be used for. Many areas of a business’ operations need to be handled over the phone, including customer support, customer service and market research, as well as sales operations. As a result, getting the right kind of call centre phone system is essential. A growing resistance to the large battery-farm type of call centres often found in India and the Philippines has encouraged many UK-based small to medium enterprises to abandon the idea of outsourcing their call centre overseas and bring the task in-house. This has many potential benefits for those who do it right and make an informed decision when it comes to choosing the right call centre phone system for their business. We all have experience of either calling, or being called by, someone in a call centre. In many cases, those experiences may not always have been positive. A lack of understanding, and the occasional lapse of empathy for the customer on the part of the call centre agent, can lead to frustration, and most damaging of all – a bad reputation for the company involved. Which is why choosing the right staff, and training them properly is essential to a cell centre’s chances of success. 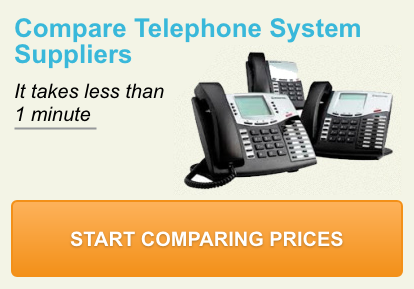 But so too is your choice of call centre phone system. A failure in the call centre phone system to adequately fulfill the task at hand can be every bit as frustrating for the customer as a bad experience with an agent, whereas an intuitive and efficient system that is capable of being fully integrated with the business’ CRM system can provide multiple benefits for both the company and the customer. The type of call centre phone system that is right for your company will depend on what you need to use it for, and how large an operation you are running. Factors to bear in mind when choosing a call centre phone system are: the volume of calls that need to be made, which is usually measured in calls per hour; the average call duration, as measured in seconds; the number of operators (or agents) using the system at any time; the location or locations of your call centre, and most significantly: the functions you need the system to be able to provide. As mentioned previously, there is every likelihood they will need the call centre to be able to accept calls as well as make them, and that it will need to be integrated with your existing customer relationship management system. Here are a few of the key elements worth considering when choosing a call centre phone system. IVR (Interactive Voice Response): This enables customers to select the service they want when they contact your company. Being able to route calls with automated responses that direct customers to press buttons on their keypad, streamlines the whole system and boosts efficiency. ACD (Automatic Call Distributor): An integral component of any call centre phone system, this enables the call centre to put the callers in a queue and then distribute the calls to the agents. CTI (Computer Telephony Integration): This connects your call centre phone system with your database, and is a crucial component in helping your business to stay on top of its relationships with customers. It allows the agent to access the customer’s details while the call connects – a process known as screen popping. MIS (Management Information System): This allows you to monitor the call centre and the agents’ performance, through use of real-time displays, reporting, forecasting and wallboard or dashboard displays. An important thing to bear in mind is how many headsets to include. Of course, there is always the potential for damage or malfunction to headsets. A good formula for making sure your business is never without headsets and potentially losing money, is to divide the number of agents by 12, and then add that number to the original number. So if you have 36 agents, then 36 divided by three is three. Add three to 36 and the number of headsets your business requires is 39. There are a number of leading manufacturers and suppliers of call centre phone systems, including Aspect, Avaya, Cisco, Foehn and Nortel. Each provides a range of solutions that can be customisable. By getting multiple quotes from a few such suppliers, you will be able to get a clearer idea of precisely what is on offer in your company’s specific requirement level and price range.